When it comes to Invisalign, Lowell, MA is home to some of the most trusted experts in the area, at Crosspoint dental. If you want to straighten your teeth, but do not want to deal with the awkward appearance of braces, you might be a good candidate for Invisalign. Lowell, MA patients interested in Invisalign can contact the experts at Crosspoint Family Dental. Invisalign is a clear and discrete alternative to metal braces that works great for many adult professionals. If you are unhappy with the health and appearance of your smile, contact Crosspoint Family Dental to learn more about the benefits of Invisalign. 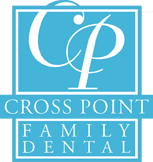 When you decide to move forward with Invisalign, Lowell, MA dentists at Crosspoint Family Dental will work with you to develop a customized plan. After having x-rays and impressions taken of your mouth, we will discuss goals for your smile. From there, we will create your aligners using comprehensive software that allows us to see how your teeth can move over time. Although each Invisalign patient is different, typically, each set is worn for 2-3 weeks, on a plan with 20-30 sets. If you want to learn more about Invisalign in Lowell, MA, contact Crosspoint Family Dental today! Invisalign clear aligners are removed for eating and when you brush your teeth, providing a great alternative to braces when it comes to appearance and oral hygiene. When you want to improve your teeth, without the discomfort and awkwardness of braces, you should consider getting Invisalign. Lowell, MA dentists, Dr. Peysakhov and Dr. Turkenich, have 60 years of combined experience in dentistry and orthodontics, and are well versed in the best of dental technology, including Invisalign, the number one alternative to traditional braces. Schedule a consultation today to find out if Invisalign is right for you. Call Crosspoint Family Dental at (978) 459-6467. We know you want a beautiful smile, and one of the first steps is having healthy teeth alignment. When it comes to Invisalign, Lowell, MA dentists at Crosspoint Dental are ready to make a plan for you.